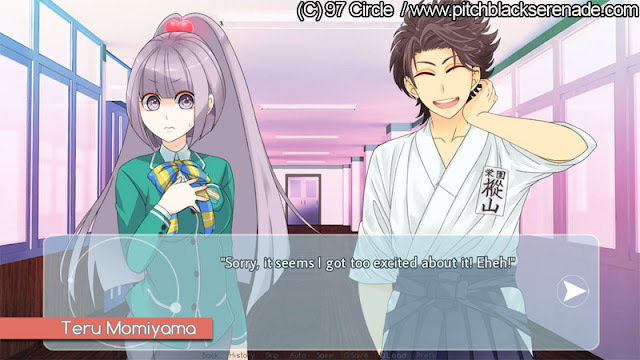 While everyone is enjoying summer holidays, PBS is finally undergoing the coding for the demo! 😎 What will probably be the busiest month of the year has just started! Before starting the coding I tried to tweak the GUI a little bit. The issue was, when two or more characters are on screen at the same time, it was a bit difficult to tell apart the one speaking straightaway. 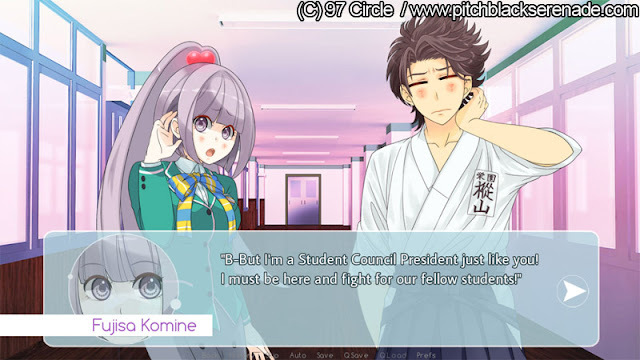 Usually visual novels display the name of the character right above the text but PBS had it a bit different. 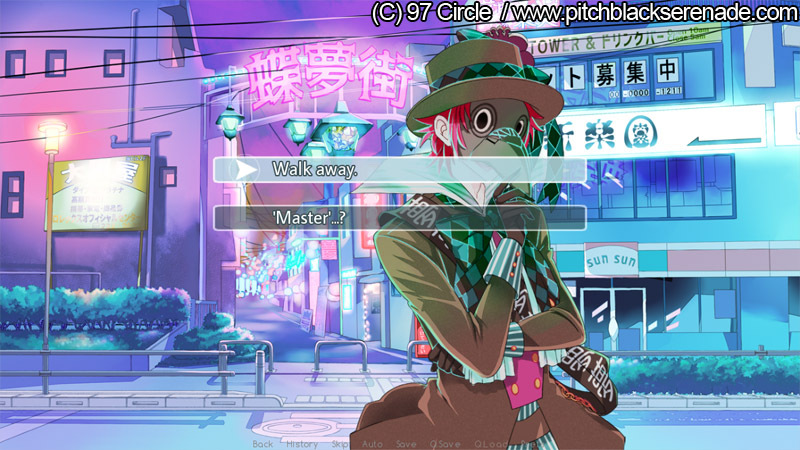 Since my first attempts at visual novels back in the years, I wanted the player to be able to recognize the character speaking even without looking at the name. The first version of PBS had a small icon different for each character on the side, the version I had worked on until a few months ago had the namebox for each character displayed in a different color. An update was performed for the choice screen as well! Well, I never had a proper user interface for choice menus and I'm not ruling out that it will undergo massive editing in the future, as this is just the very first version of it. Working on the GUI is very difficult for me since I haven't that much experience. As I previously wrote in one past entry I wanted the graphic of the game to be white and purple but as the GUI was not looking good in those colors, I'm thinking about having it in black and white. Let's go back to the initial topic of this entry once again: the coding for the demo has started! Not all the assets are ready yet though but I plan to have all the scenes for which I have them ready coded within August 15th! Currently, I've coded three scenes, for a total of over 6k words in five days. It may seem a tiny amount, but one of the three scenes is action-packed! This means animations, a lot of sfx, timing, etc. And there was also a bit of branching too. The next scenes included in this schedule are a lot less action (two of them are the Cafeteria scene and the Isahai scene, for which the coding will be entirely revised and tweaked). Updates on the coding will continue on the next blog post. That's all for today. Early screenshots from the demo!